This Thread is a repository for all info (data) about the upcoming new Suzuki Jimny. But it is high on opinion & low on info. 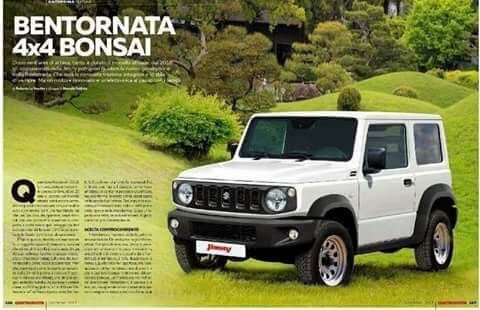 The new Jimny was apparently launched at the Tokyo Motor Show in late October - but I can't find anything in English that gives details. Last edited by Mad Manny; 2017/11/27 at 09:48 AM. Can you post the website link? Or is the pics the only info you have? That article probably contains only the same speculation as what we have already seen. Those are exactly the same pictures photoshopped onto different backgrounds. Apparently this one is low on info too. It hasn't been released yet. It was apparently launched at the Tokyo Motor Show. As I said in the very first post. If it was, then it exists, if it exists it can be measured & its specifications are public. Last edited by Mad Manny; 2017/11/27 at 10:31 PM. I like the look of it, and I would love to have one....depending on the available engines. Problem being I'm unlikely to be able to afford it, and I just cannot see it being a car that lasts 20-30 years. I know cars are disposable items these days, I just don't have to like it. 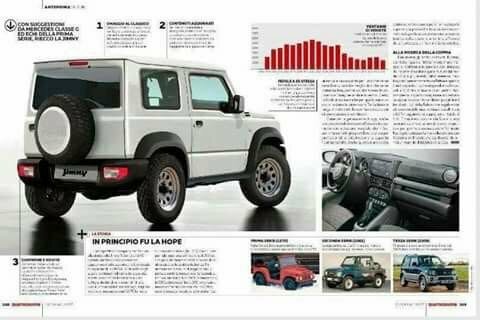 In fact, if you click on line-up - The current Jimny is on show. Last edited by Rebel 4x4; 2017/11/28 at 09:21 AM. Unfortunately, a lot of the speculation comes from India, who really would like the Jimny, but are stuck with the Gypsy. They seem to have excellent imaginations. Looking at the photo I posted. 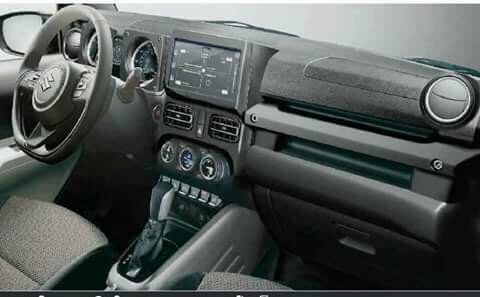 Why on earth have a flicker on the fender and side mirror? Why on earth have a flicker on the fender and side mirror? Not on both. Just mirror. I will keep waiting for more info before I decide to buy anything, im more interested in what engines it will have and when we will get it here in SA. Looks wise, if this is what it will look like then its ok I guess, not any better than the current shape. Ever since that thread, I feel as if I see Jimnys everywhere. Its as if they following me around saying buy me, you know you want too! On a serious note though, I wouldn't want to buy a new 2 door 4x4 and a few months later the new Jimny is launched and is an awesome vehicle. Ill kick myself. I think we are a few years away. Maybe 2019. Ok then there is no point in waiting that long.